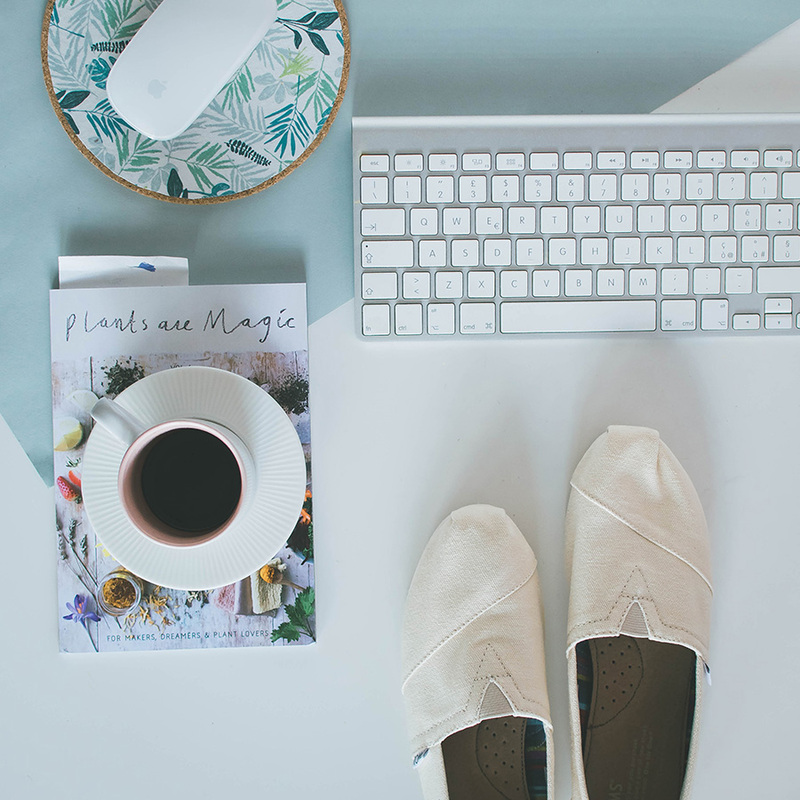 Let’s be honest: I’m just a tiny bit partial to cute-everything when it comes to my workspace area! 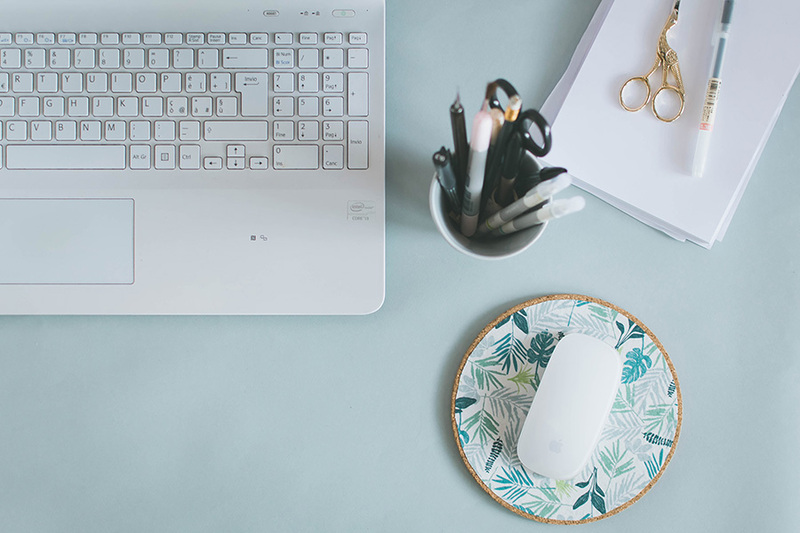 I love adding in new bits and bobs of doubt utility but undoubtedly pretty and I can’t enter an homeware or stationery shop without getting out with a new gem to be added to my desk space. 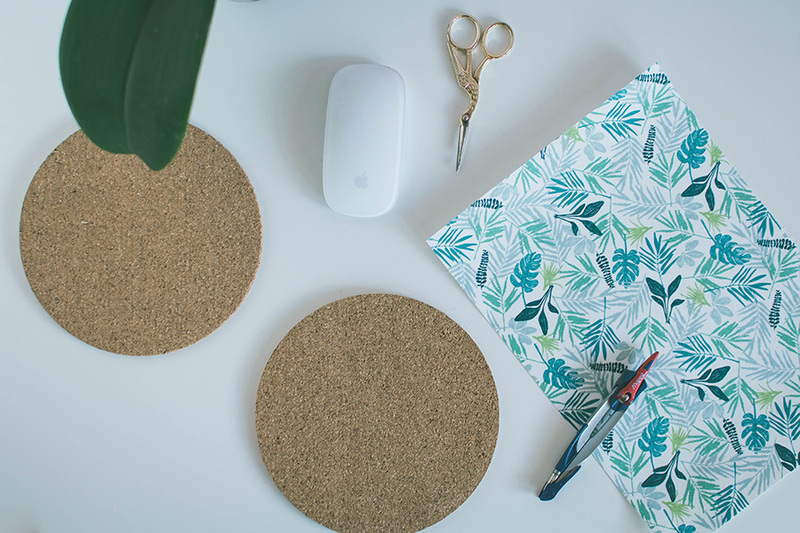 I had this idea of creating my own DIY pattern mouse pad that matched the rest of my “desk-decor” for a while, but it was only recently that I found the perfect fabric pattern for it! 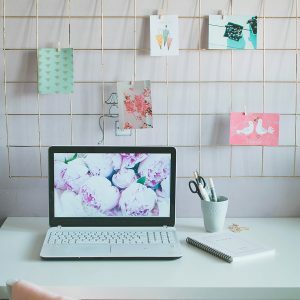 This project is perfect if you spend quite some time at your desk each day and want to make your space inspiring, or simply if you love cute patterns and making your desk pretty..! 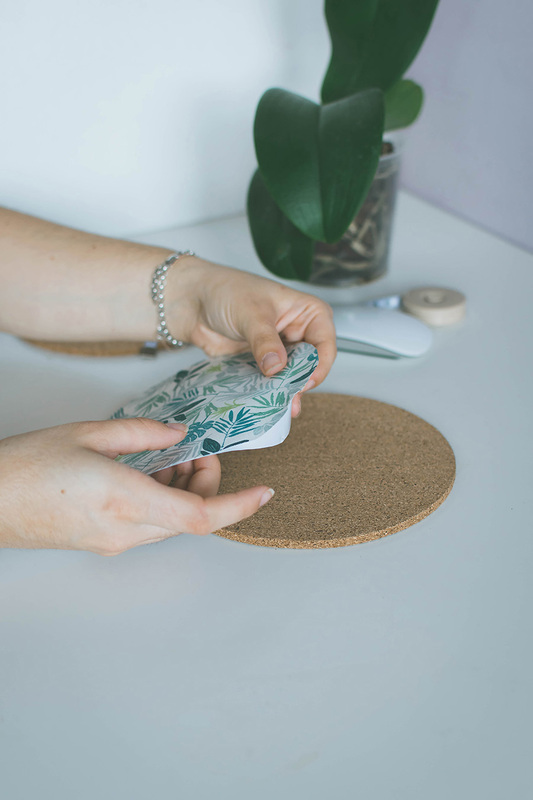 You can find the materials for this DIY pattern mouse pad project at any local craft store really, and the steps are also super simple and fun. 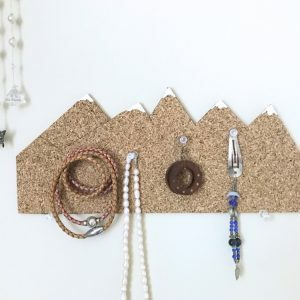 Perfect way to quickly and effortlessly add a very unique touch to your workspace! 1. 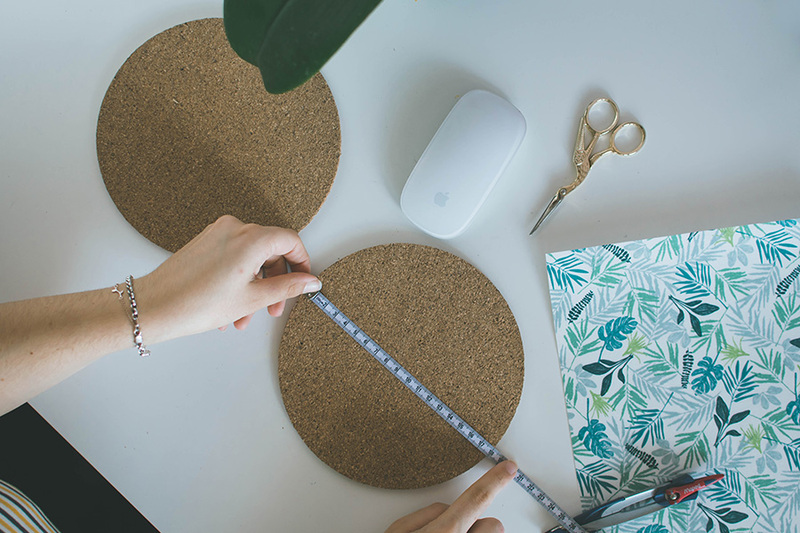 Firstly measure out your cork disc’s diameter in order to know the exact size you’ll need to cut your fabric foil. Mine measured 18cm, I removed 1cm to have a tiny border all around, and so set my compass opening to 17cm. 2. Using a compass, trace a circle on the back of your fabric foil. 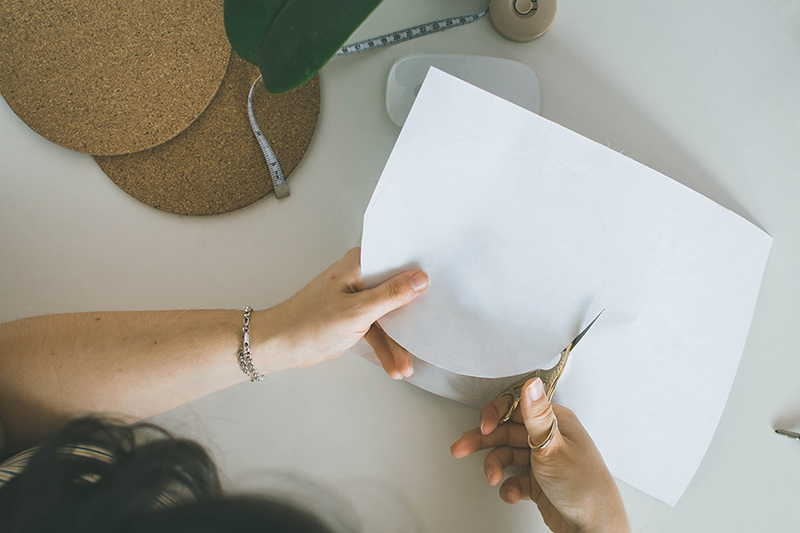 Cut precisely along the line you just created. 3. 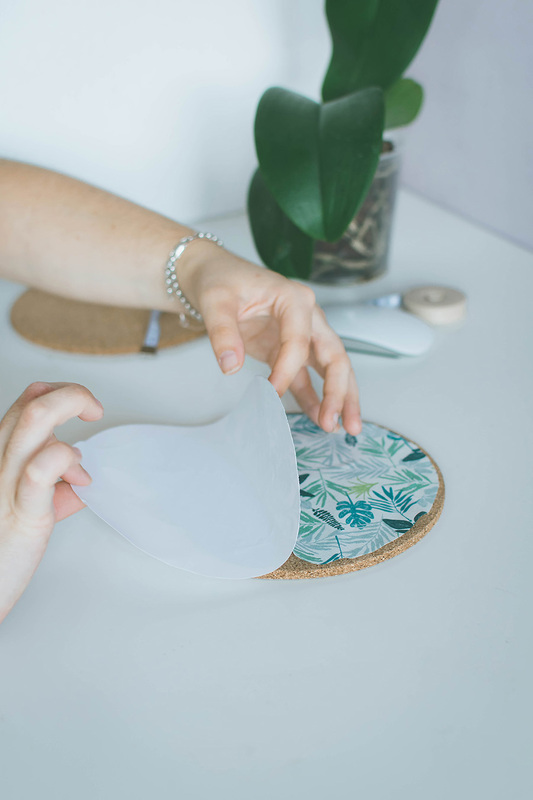 To stick the fabric on top of the cork disc, firstly remove only 1/4 of the film on the back of the fabric foil, start sticking the fabric on one side of the disc, then slowly remove the film while pushing the fabric against the disc with your other hand. This will help you avoid bubbles of air between the two surfaces! 3. To set and secure the fabric into place, iron for 3-5 minutes. And you’re done! See? So easy but the result looks so fancy and pretty! 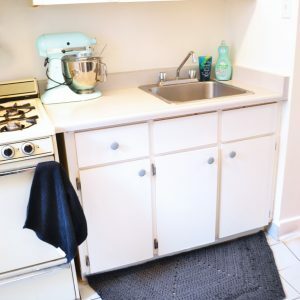 Definitely et me know if you give this project a go!